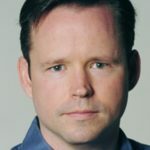 Brian Krebs is an American journalist and investigative reporter. He is best known for his coverage of profit-seeking cybercriminals. His interest grew after a computer worm locked him out of his own computer in 2001.